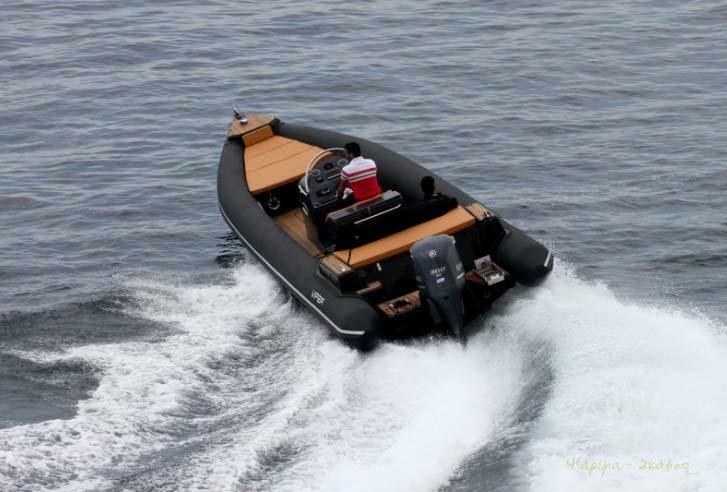 The 10m Magnum 9.70 has been admired at all levels by providing a sturdy and fairly good RIB finish featuring 8 separate compartments and a 1.670 dtex Hypalon Neopren fabric for greater durability. 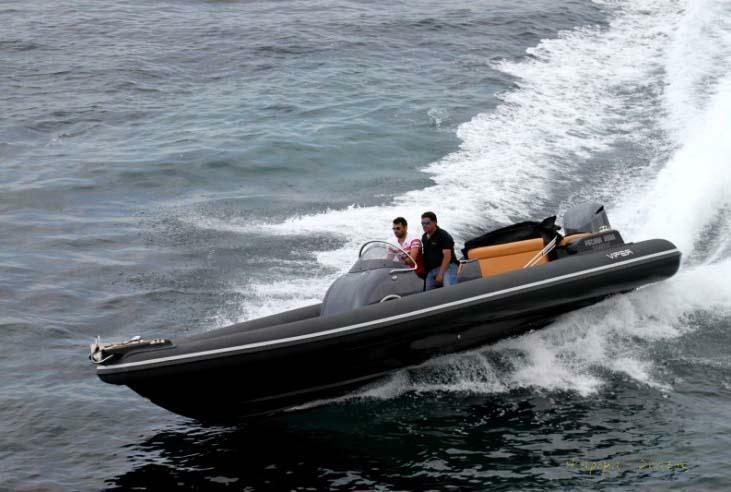 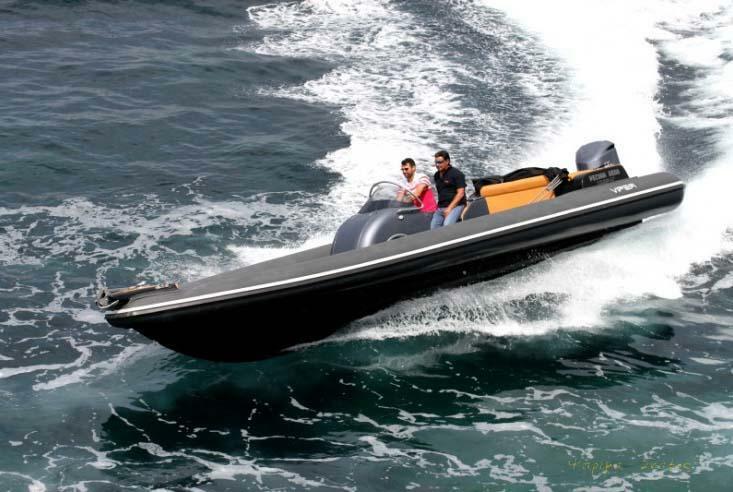 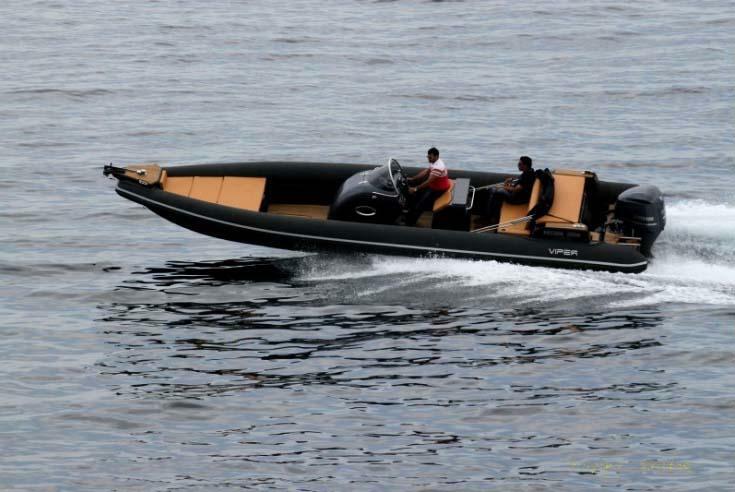 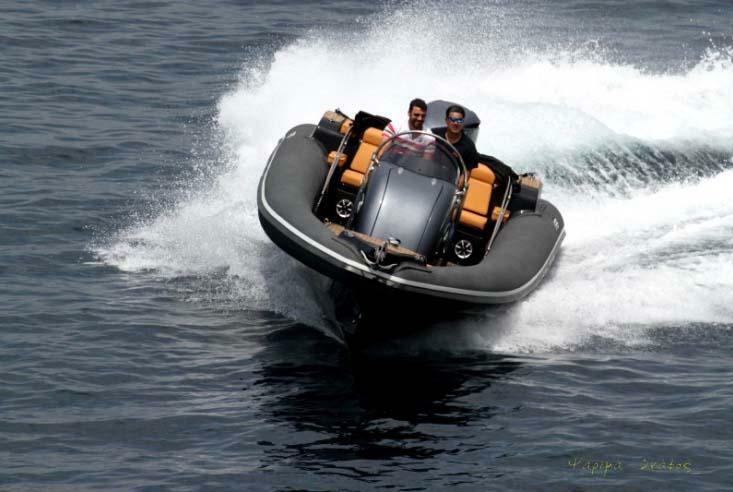 Their diameter is variable, highlighting the sporty look, starting at 38 centimeters, reaching the stern at 56. 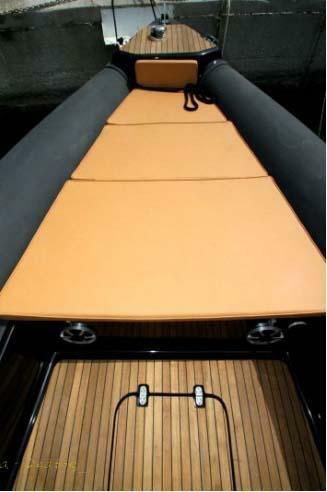 More specifically with the Mercruiser at 28.2 knots (3.750 rpm) the consumption is 1.5 l / min. 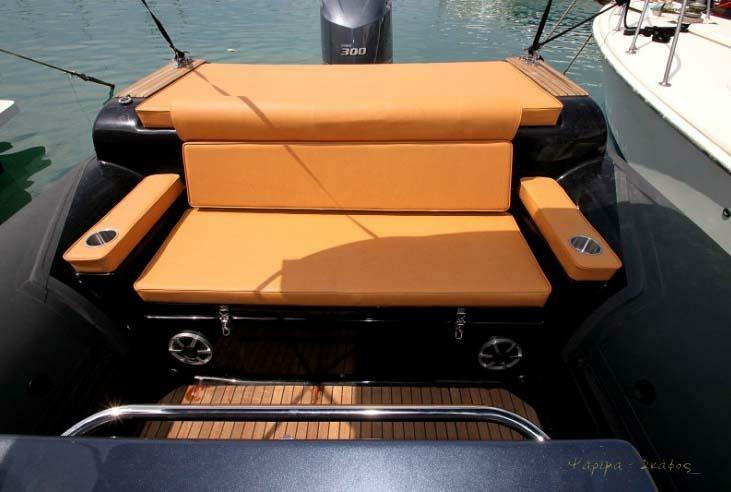 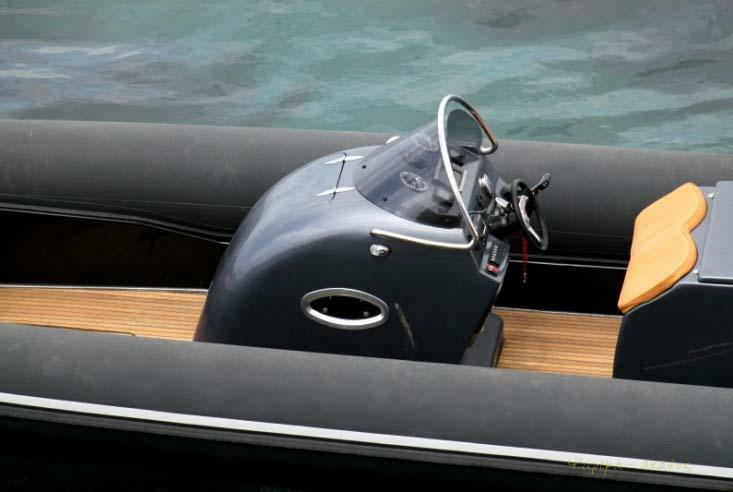 Where the outboard stands out at maximum speed, with the inside - out reaching 33 knots when the outboard was 40.